Nabil Mardini is a volleyball coach, but he is also an electrical engineer, so it’s not surprising that he approaches drills and practice planning with great attention to how things work and why things work. Or, sometimes, why they don’t work. The idea that the why question should always be answerable extends to players. A good example of Nabil’s coaching style can be seen in what he calls the “80 Percent Concept.” The idea is this: Any time the ball is dead – between points, during water breaks, or while the team is shagging balls, etc. – his players have to take their first two steps at full speed, then go at 80 percent speed until play begins again. 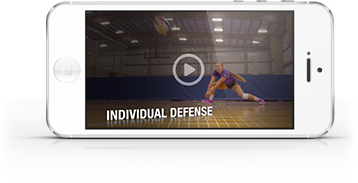 To give you a more detailed look at Nabil’s training methods, check out this video about how he teaches his team to win the serve-receive battle. Mardini grew up in Lebanon and began playing volleyball at the age of 6. At 18, after he had reached a high enough level to play for Lebanon’s junior national team, he moved to the U.S. and attended UCLA, where he earned his engineering degree. After working for eight years as an engineer and coaching club on the side, he decided he wanted to switch things up and make volleyball coaching his full-time occupation. He is now the Director of Operations at the highly successful Los Angeles Volleyball Academy and the head coach of the powerhouse women’s program at Pierce College, which won California Community College Athletic Assn. championships in 2010, 2011 and 2012.